Why Start a Uniform Rental or Lease Program? With our Full Rental Uniform Program, we completely manage your garment service from start to finish, including weekly pickup and delivery, laundering, repairs, replacement, and exchanges. Plus, your dedicated Route Sales Representative is trained to observe your company’s changing needs, make recommendations, and resolve issues as they arise in a courteous, efficient manner. Each employee receives a full complement of uniforms to ensure that they always have a clean uniform for each workday. For example, if an employee works a five day week, he or she will receive 11 uniforms: five for the current work week, five that are at Ace Uniform being laundered/repaired, and one for the day Ace Uniform services you. Garments are tagged with a unique identification code for each employee, ensuring garments are returned to the correct wearer. Ace Uniform visits your workplace weekly to deliver clean uniforms and pick up dirty garments. We are committed to arriving at your facility on a consistent, timely schedule and providing fast order turn-around. Our efficient Repair-Care System ensures that you consistently receive good-looking apparel that enhances your organization’s image. Customers receive Repair Order Tags which they use to flag garments in need of repairs such as buttons, zippers and small tears. We also perform our own internal inspection of each incoming garment and make necessary repairs, with the goal of having every garment leave our facility in good condition. 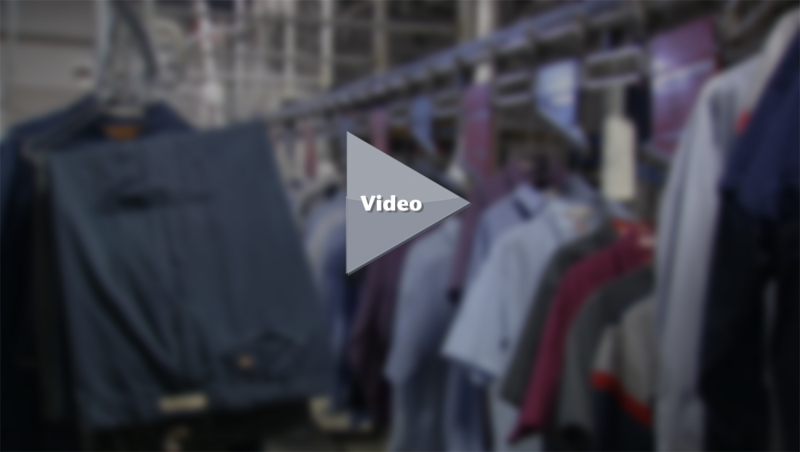 With our Continuous Garment Replacement Program, your Route Sales Representative works with you to determine when replacements should be issued, based on feedback from you and your employees. At our customer’s request, we also exchange garments that no longer fit. Our state-of-the-art computerized wash system provides exceptional soil removal and sanitation. Our staff takes painstaking care to launder and finish all garments in a manner that provides a professionally-cleaned appearance and a comfortable feel. Cleaned garments are matched up by employee so they arrive at your facility in an organized fashion. Our Lease-Maintenance Program offers customers the majority of services found in our Full Rental Program, including repairs, replacements, exchanges, addition/removal of employees due to employment changes, and more, without any scheduled laundering service. Ace Uniform played an integral part in developing this program decades ago; now many of our competitors offer similar programs that aren’t as efficient as our Lease-Maintenance Program. Lower cost of service than the Full Rental Program because no laundering is required of Ace Uniform. Therefore, this allows for less inventory and provides you, the customer, with an added reward.